« McCartney sings from inside the bubble — grab the keys and lock climate denier Trump up? Some on Twitter say the CNNshot is from 2008. Who knows? I can’t confirm. People have died in the millionth fatal storm to hit humankind. But thousands have died thanks to FakeNews. Commiserations to all those who have lost something (or someone) precious this weekend. Ha ha ha ha ha ha ha ha ha! 1ha! Politicians too, and they seem to believe they are fooling all of the people. The media’s love of exaggeration is well known. Parody is a good response. I loved those video cilps. But what happens when they actually lie. If those pictures of flooding were actually for some other place and at some other time, there should be accountability. They’ve also lied about the ‘wet grass’ excuse. At the 45sec point in the video, it shows one of the passerbys walking on the grass verge on the other side of the road. I just don’t believe anything I see on the news anymore. I want facts not bulldust. However when I speak to people who have a bit of knowledge and worldly experience, there are more and more who also see the absurdity that we are seeing now. This is brilliant. They discuss hurricanes and how they ARENT more frequent or stronger..a must view. Here’s another statistic they could use: climate change models have got it wrong 100% of the time. Just as I started in the oil industry, and only a few weeks before I went to the drilling rig in question, there was a cyclone off the NW coast of Australia (like that’s never happened before! ), and, due to some…errors in judgement, a semi-sub drilling rig was not evacuated. In order to keep themselves entertained, some of the people on the rig made some movies depicting how bad the weather was. First hand accounts report that it was far from pleasant, though not catastrophic. One person was filmed holding on to a hand rail, while someone else held their feet up (out of shot), making them look they were being blown horizontal by the cyclone. Needless to say, not only did the oil company get in trouble for not evacuating the rig, but the people who made and starred in these videos were…not welcomed back to that rig again… Stupid really – put a bunch of oil rig workers in that situation, and there is bound to be someone who will want to make fun of a serious situation. Fake news seems to have consequences for all except those who deserve it. The leftist MSM are so blinded by their own lies they now have a licence to fake their reporting as often as necessary without fear of being caught out, and even when they do get caught out they pretend it doesn’t matter. The MSM have lost completely all credibility. Truth to data no longer matters? Oh Feynman! MSM fake news has been obvious for at least the past two years. We can act as each other’s scouts for real news and discussion, such as theRealUniverse has done above. I know many do, but this needs to be a default understanding now. MSM/fake news – what’s new? Whoops, I just linked to one already there in the post. Mine was off b*tchute (which goes to the naughty room because of the first four letters?) so I thought it was different. Anyway, great that you’ve seized on this, Jo. I reckon they do these things badly for a reason, not just because acting skills are a limited resource. It’s like they’re testing us, mocking us. Time to mock them back. The next round of fakery will probably be a contrite reform of the media by the media…wherein our freedom of speech will be limited further and the fakers will just change names and personnel. Reformed media will be like those reformed CEOs who took the humble train to Washington to show repentance to Obama for past sins. You can bet they knew bail-out would come after a little theatre, and you can bet they didn’t take the humble train back. The media’s contrition for fakery will be their biggest piece of fakery. But at least we’re forcing them to make an effort…and degenerates don’t like effort. Last night, channel flicking through the ABC, I saw an employee of the ABC recommending The Daily Telegraph not be permitted to charge market advertising fees, while recommending left leaning news collude to control the market. The ABC appeared to be putting forward an ABC staffer to advocate for anti-competitive behaviour. This would seem to be a violation of the law. Problem is, I am not sure what program this was on. I thought it said ‘Behind the News’ on the TV channel info, but I can’t find the discussion on that webpage. Anyone else see it? Series 1 | Episode 1 | What Is News? Worth watching for the amazing arrogance of the ABC on display. Note the mixing up of the topics of reward for journalism and ‘trusted journalism’. Episode 1 What Is News? Host: Patricia Karvelas, Radio National, ABC News. I was in a conversation recently with Google and one of the ideas I think we should be actively encouraging is changes in the ad sales rates around trusted content versus non-trusted content. You put a piece of rubbish up on Google or Facebook it gets the same rate of return as if you put a great piece of journalism up. Well, how difficult would it be to change that algorithm slightly to say a piece of local journalism that the algorithm has identified as trusted, is local, is valuable, is all of those things, and sure there are value judgements in that, but the algorithm is already making value judgements, what would be wrong with turning the dial up a bit on those articles that they get a bigger rate of return and a piece of Daily Mail crap that they’ve riped off from somebody else, turn that right down, and see how long that business model lasts. If the ad sales revenue that the Daily Mail is getting away with from stolen journalism doesn’t get a rate of return, we’ve solved the problem. So why can’t we do that? And why is the onus on us as an industry, when I think there is plenty of scope for us saying to Google, and Facebook, and all the other platforms, we can think about this in a different way if only you tweak the way you return value to the publishers. And they say, oh the algorithm is hard to change, and the engineers, you know, you’ve got to persuade them. Google can make cars drive by themselves. Yeah, it’s so hard, isn’t it, it’s really hard for them. No it’s not hard for them, but it’s about a sense of unity. Actually I’ll get you on this Louise, as you’re kind of the umbrella, you’re friends with all of us, aren’t you. So, it is taking it to that kind of level isn’t it? A sense of a unified perspective on the future of what this topic is, on public interest journalism and on the importance in this country and in this democracy of enhancing that and growing that. Yeah, look I think that’s right, and certainly the learnings that we’ve been receiving from people we’ve been talking to in the US is that there is a strong role for collaboration amongst media organisations, and we are seeing that a little bit now with the ABC and Fairfax but certainly that could work more broadly and really that is, I guess, with the interest of bringing us all together as an industry to establish some of these factors like what is good journalism, what is journalism, within that media landscape, and how we build that trust. But it is also about, again, the diversity of voices and sharing, so, and there is a role for the Walkleys to play, I guess, in bringing everyone together and working as an industry because that’s what is going to save us, rather than all being at loggerheads with each other. We are in crisis as an industry, disruption, like a lot of industries, so it is important that everyone works together. Indeed, this was in evidence when Alex Jones was banned from YouTube, Facebook and iTunes within a few hours of each other. Like or not what Jones says, free speech is all about permitting what you don’t like. But, of course, the story is much larger than that. Global warming, Trump, immigration, Clinton, are all the subject of a unified approach between many media organisations in the US, and, in concert with them in Australia, organisations such as the ABC and Fairfax. Just to be clear, Gavin Morris of the ABC has admitted to actively lobbying Google to defund competitors, on bases that include whether their competitors’ journalism is ‘trusted’. He admits that an algorithm that did this would have to make ‘value judgements’, but he is ok with that. Not only that, he has used the ABC to promulgate and promote his proposal for collusion and anti-competitive behaviour. I worked in media for many years. I can absolutely guarantee that they all do this BS. Sensationalise and distort anything for the ratings prize! The really sad part was that they justified their actions! No wonder then that people have no faith in the ‘news’ that they see on television or what they read in the newspapers. Nothing is what it seems! As I see it, the bigger problem is that all the mainstream media are trying to outdo each other. The average bloke can flick around from station to station and see one faked story that seems to support another faked story on a different channel…..when do we ever know if were told anything but lies? Lies by fakery or lies by omission are still lies! damn them, I used to like watching the news. I’ve stopped regularly watching the news on TV about 20 years ago. I watch it very sparingly since then only to see if it has changed, and it has, for the worse. Some of them are like parrot shows diverting attention from the real issues, and others are mostly about fake news telling people the opposite of what is happening in the real world. It has become a profession in the news media. I can see the day coming soon when robots will need to be used to avoid an over reliance on humans to report parrot fashion the fake news and thus make it appear to be even more believable by the public. Then they will be automated. Automated journalism is already being trialled. For example, a robot journalist made its debut in a Chinese daily with a 300 characters-long article written in just a second. Google is funding a robot journalism project in which five reporters will produce 30,000 stories a month for local media. There are many other examples. George Orwell got one thing wrong – he didn’t think up of the idea that humans will be redundant in running the propaganda machine but that was understandable given the the concept of a computer at the time was a secret during the war with the code breaking Enigma machine not revealed until much later. The ratings slide isn’t the only recent embarrassment for CNN. My first thought after seeing these statistics was that basic Cable must truly be dying if a network can loose 36 percent of its viewers and still be ranked 6th across basic Cable. Maybe the weather channel people have been listening to too many Goon Show reruns. I am not American, but I have heard MSNBC described as being even more biassed and inaccurate than CNN. If so, interesting that they rate several places above CNN. That’s absolutely correct. Even leftys are sometimes appalled at MSNBC. Some people watch MSNBC just out of the spectacle of watching blatant Soviet level propaganda. Some are true believers that enjoy the confirmation bias. I might add that some viewers of MSNBC are just too clueless to understand the distinction. It is noble cause corruption. During the US 2016 election both CNN and the NYT were called out for faking news stories about Trump. They justified it by saying we were facing an unprecedented threat in form of DJT. This reminds me of the story that Dan Rather published in 2004 to smear George W. Bush. When the story was proven to be false he stood by the story describing it as “fake but accurate”. some may recall the attacks on Scott Pruitt’s alleged spending habits, which were never what was claimed. The New York Times is at it again. The story also quotes an Obama-era State Department official as defending the purchase. “All she’s got is a part-time maid, and the ability to open and close the curtains quickly is important,” Patrick Kennedy, former Undersecretary of State for Management, helpfully told the Times. ***Then there is the tweeting. A “Trump-era” descriptor for an Obama-era decision. Nicely done, truth-tellers. The headline of this story has been amended to reflect updates to the New York Times article clarifying when and for whom the curtains were ordered. The New York Times on Wednesday issued multiple corrections to a story that wrongly linked Mark Dubowitz’s think tank to Israel’s Likud political party and overestimated his yearly salary. You can’t have a “media leak strategy” without plenty of willing accomplices in the media. As I have observed many times, I believe this is part of the biggest political scandal in US history. It involves the mobilization of deep state actors in the Obama administration and the weaponization of the FBI and other parts of the Department of Justice. I think you are right. Participants must be terrified as they watch layer after layer being peeled back. Well, duh! It’s a dead giveaway because Seidel is leaning the wrong way. You lean INTO heavy winds, for balance, not away from them. The storm disappointed in that it failed to deliver Armageddon, so they had to hype. Not exactly Meh, but close. Let’s not forget that CNN (and others) have long been in the business of presenting fake – lying to the public – whatever they do. How about this one from Nov, 2017, when they Stocked the Audience and Controlled the Debate Questions at a nationally televised Democrat Party Presidential debate. NewsBusters, and others exposed and covered this pathetic organization colluding to steal a US Presidential election. All six “undecided voters” were set up to ask questions (controlled by CNN) at the debate were plants. This was fully exposed, and then the rest of our national mainstream media said nothing. How is that possible – they all support the collusion. Guarantee you that it was much worse during the 2016 Presidential election. A personal comment. Noel Sheppard (knew him well), who wrote the post, passed away a few years back – way before his time. He is sorely missed. In which journalists meekly partake. Yep – but the need is to get the 60+ million Democrat Party voters to actually learn about it. This isn’t new or news – the problem is that the RealityTV watching SheepPeople will watch this and believe without any checking. Didn’t JNova (or it might have been WUWT) have a story a few years ago about some Oz flood with a drowning girl… except the girl’s father wrote in to say it was his picture of her in a river flood in the USA, she was fine, AND the news people had no permission to use the photo. Mainstream news, ABC, BBC, etc… they are all just propaganda mouthpieces for either the Soros funded politicians or The Soros Group itself. The following is not a parody. Sept 14, 2018: Once a Category 4 hurricane with winds of 140 mph, the hurricane was downgraded to a Category 1 on Thursday night. After beating the Bush dynasty, 16 Republicans, the FBI, the media, voter fraud cheaters, the political class, the Clinton dynasty, the Obamas, the elites in BOTH parties, he also beat tech companies that used their platforms to try and beat him. Now we see President Trump can control hurricanes, even after leaving the Paris Agreement. For Beatles fans, Paul McCartney talks about the Lennon-McCartney songwriting tips in latest half-hour interview. Hear the song in youtube video at foot of link, or here. I like Steve Goddard’s take on this. Fake News has been going on for quite a while. Recall Peter Sellars and co doing “All that’s best in British journalism” in the track on getting the Christine Keeler exclusive – done in the 1960′s. On “How to win an election or at least not lose by much” IIRC. Why bother with the term “fake News”? Why not call them what they are, liars? Be direct and to the point. If it’s fake it’s a lie. And it is quite amazing that President Trump can control the weather or that he can cause 80,000 deaths by controlling the weather. Wouldn’t you think that if he could cause 80,000 deaths by manipulating the weather he would do it so as to knock off the most troublesome and influential 80,000 Democrats and progressives in the way of his reform agenda? At least I sure would. Who could trace it back to me? But George Soros, Nancy Pelosi and Chuck Schumer (just to name few) are all still alive, proving with real live empirical evidence that Trump can no more control the weather than I can. He’s just a man after all and I’ll bet he puts his pants on one leg at a time the same way I do. How disappointing. CNN and MSNBC need a better tall story. Very good point. After all as you say that’s exactly what they are doing – deliberately telling lies. If that guy faking the effect of high winds in a public broadcast did it say 50 years ago he would be sacked on the spot by his manager, and if he wasn’t the manager would be sacked as well. Yet we see such lies all the time on a daily basis in many areas. Such are the times. So anyone who trusts what the news media says is doing so with their brains switched off. It’s the same issue with politics. So many voters act like zombies when placing their vote on election day. It’s no wonder we get the government we deserve. The US showed us how we as a nation can break out of that stupor. The next federal election will be a big test. We don’t have someone like Trump but we do have the choice of electing a government headed by Morrison if he turns out to be OK, and if he turns out in due course he is not OK but just another fake leader then we do have the option to reject both major parties and allow one or more of the more reasonable minor parties to gain enough votes to put them in a position to form government with the LNP. News, particularly when it involves Trump, gets viewers, readers, or mouse-clicks – the so-called “Trump,bump” is an addictive means to increase revenue, so… when you make money, and your “journalists” are actually anti-Trump activists, why stop, and why report anything resembling the truth, that requires effort, and some modicum of respect for the established audience. Europe experienced Little Ice Age climate conditions(Fig. water to the region of Gibraltar and the Canary Islands. Ice Age conditions in NW Europe [2, 3]. My favourite CNN staged event was a story on a Ford that has a reputation of catching fire so they got one, overfilled the tank, fitted an incorrect fuel cap and put a fire lighter under it. They drove another car into it and guess what? It caught alight. They don’t even blush when they are caught out. NBC did something similar with a GM pickup truck. NBC were charged that they used “remotely controlled incendiary devices” to spark a fire in a test. NBC was sued. You are retelling the story more correctly than I, thanks. Actually it was a different story. Your post I think is accurate too. It was the coldest this late in the year in 36 years in South Australia’s Clare (-1.4 degrees), 24 years in Victoria’s Hunters Hill (-2.6 degrees), more than 20 years in Western Australia’s Newdegate (-2.9 degrees) and 19 years at New South Wales’ Mt Boyce (-1.1 degrees). The mercury has plummeted up to 10 degrees below average across southern Australia as a strong front moved across the region. Frost formed in all of the southern states and was severe in some areas this morning, with temperatures dipping five-to-10 degrees below average. Walpeup in the Victorian Mallee had its coldest September morning in 23 years and coldest morning this late in the year in more than 50 years of records, recording a minimum of -0.8 degrees. A 24-year-old record for this time of the year was shattered in Victoria’s Hunters Hill, where temperatures hit an icy -2.6 degrees. A 20-year-old record was also broken in Western Australia’s Newdegate – -2.9 degrees. South Australia’s Clare reached -1.1 degrees, putting an end to a 16-year-old record, while Woomera plunged to 3.4 degrees. The chill was most felt however on the Alps. Farmers woke to discover heavy frost gripping their wheat and barley crops, which were expected to deliver a combined 14 million tonne harvest this year. “First impressions was that it was obviously pretty severe,” (Kojonup farmer Dan Ladyman) said. Russian President Vladimir Putin will tilt his foreign policy towards engagement with some of Australia’s key partners in the Asia Pacific, a leading think tank report warns. But there are risks in this approach for Putin. Putin’s foreign policy will remain grounded in long-standing assumptions about Russia, the West, and international order. Stabilising relations with the West? China is spending more than half a million dollars on an advertising campaign to promote its state-owned broadcaster in Australia, as Beijing seeks to soften its image internationally and establish itself as an alternative to US leadership in the region. Billboards for CGTN, the foreign language arm of CCTV, have popped up in capital cities across Australia to promote the news and current affairs channel, which airs on Foxtel and Fetch. The campaign is being run across French out-of-home advertising giant JCDecaux’s street furniture network on footpaths and bus shelters. A group of Australian blockchain start-ups, including Labrys, Beam and AgriDigital, are in Shanghai this week, on a trade mission organised by Austrade and the Australian Digital Commerce Association. Ant operates the world’s largest online and mobile payments platform – with 520 million users. It has also been investing in blockchain, devoting part of its blockbuster $US14 billion Series C funding round earlier this year to the new technology. With the exception of ASX’s project to replace its CHESS equities clearing and settlement system with blockchain, many pilots of the technology in Australia are merely dipping toes in the waters. Nevertheless, China is paying close attention to Australia’s role chairing the International Standards Organisation (ISO) group (known as Technical Committee 307), which is developing standards for blockchain. China sees Australia as a more trustworthy leader of this work than, say, the United States or Russia, which also wanted to run this committee. But China’s government – just like regulators abroad in many Western jurisdictions that are also exploring the technology – are more likely to be interested in blockchain’s ability to create greater transparency around transactions, which will allow authorities to conduct more detailed oversight and monitoring. Seems like we have gone over the crest of the hype curve with blockchain and now the real work is happening. Just listening to ABC radio and an interview about a CEO of a supermarket and his decision to remove strawberries from the shelves amid the needle scare . Ceo – not for a long time . Ceo has never seen anything like this before ! And they wonder why they cop the criticism they get ! A land-falling hurricane. Like: that’s never happened before nor even befive. 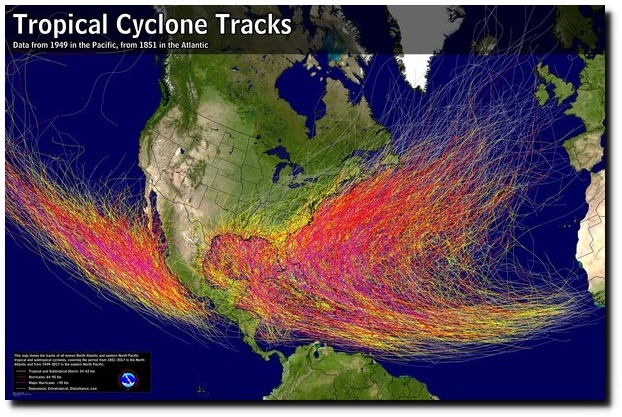 “The World’s Worst Hurricane” was barely (if actually) Cat-1 on land fall. But they’ll do it all over again—falling all over each other to show they can be more asinine than the next reporter to the rest of the world—for the next one. I did enjoy the Cretinous Coprocephalic “leaning into the ferocious wind.” The movement of his clothing showed he was pointed rear-end first into the wind—it was coming from behind him. It didn’t even need the two pedestrians strolling around behind him, although they sure helped. Wot a Dumb Cretinous Coprocephalic. Just got back from a week’s snowboarding Mt Ruapehu – calm, blue sky and shiploads of snow after the blizzard, no crowds, carving down the slopes like a man half my age [and somewhat possessed to boot] – did I miss anything? Ah yes, September, my favourite time of year, when The Don causeth both hurricane and typhoon surf, he also doth causeth blizzards and snow storms and freezing temperatures. And all because carbon. Or Paris. Or sumpthink™. My thought after watching the Weather Channel’s 66-second Youtube Clip is that the reporter is trying to develop a new dance and wants it to be named after him. The “Hustle” would be an appropriate name for the dance. Wait, that name is already taken.